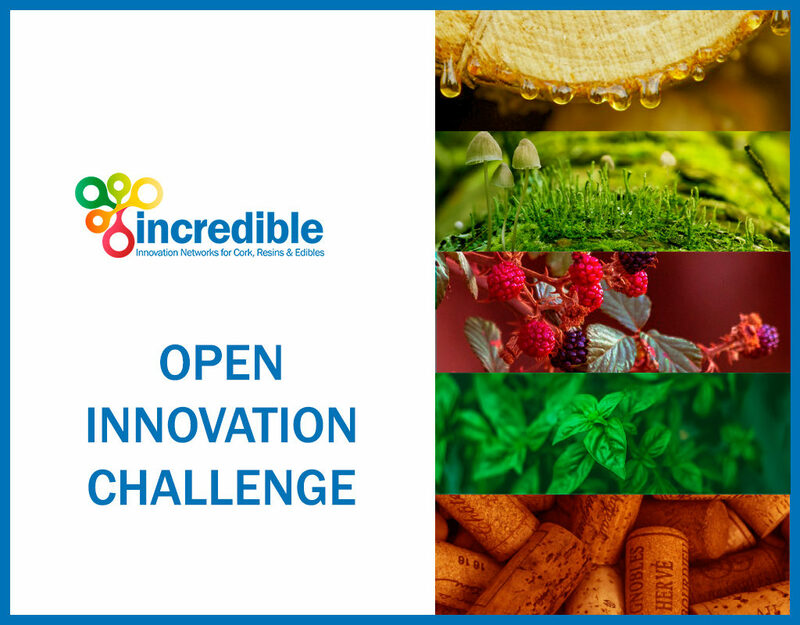 The INCREDIBLE Open Innovation Challenge (OIC) will select the five most innovative ideas with the potential to increase the environmental, economic or social value of Mediterranean non-wood forest products (NWFPs). OIC winners will be invited to attend the INCREDIBLE business acceleration programme organised by leading forestry and business experts. The initiative responds to challenges for NWFP value chains analysed by the INCREDIBLE team during the first year of the project and aims to identify innovative solutions. Contact us for more information, registration will be open from April to August 2019! Non-wood forest products (NWFPs) have the potential to become a real social and economic resource for the Mediterranean and its people but they are currently undervalued and under-exploited. The INCREDIBLE project, funded under the European Commission’s Horizon 2020 programme, is a Thematic Network to share knowledge, connect people and foster social, technological or managerial innovation in Mediterranean NWFPs through transversal and multidisciplinary approaches. iNets for cork, resins, wild mushrooms & truffles, medicinal & aromatic plants, and wild nuts & berries bring experts together for regional and international exchange, while a Community of Practice explores cross-cutting themes across the different sectors. From 2017, NWFPs experts from across the Mediterranean have been engaging with a broad range of stakeholders on how to create value for Mediterranean NWFPs. They have identified several knowledge gaps and potential challenges through international workshops and seminars involving stakeholders from across the region. The way forward is to search for innovative and creative ideas able to fill these gaps. Through the INCREDIBLE Open Innovation Challenge (OIC)! 5 – aromatic & medicinal plants. Candidates are asked to present innovative ideas or approaches to tackle challenges identified in the first phase of the INCREDIBLE project. Once all the applications are received, the five most brilliant ideas will be selected. The winners of the OIC will take part in the ETIFOR business acceleration programme created by an international team of NWFP experts as part of the INCREDIBLE project. During the acceleration service, that will last 10 days (beginning of 2020) and will be based in Padova (Italy), the ideas of the winners will be boosted thanks to seminars, mentoring activity and targeted workshops. For winners, the acceleration programme will be free of charge and travel costs will be covered by the project. These were some of the challenges that emerged in the preliminary phase of the INCREDIBLE project. Participants can work to find solutions and novel ideas to solve these gaps or contribute to other topics related to NWFPs. Be creative and innovative! The winners of the OIC will take part in the ETIFOR business acceleration programme created by an international team of NWFP experts as part of the INCREDIBLE project. WHO CAN ENROLL AND HOW? Everyone (individual, startup, company) with an innovative idea to solve a problem or to boost the NWFP value chains is welcome! The Open Innovation Challenge will be open from April to August 2019. The five winners will be selected by Autumn 2019 and will be invited to the acceleration programme. For winners, the acceleration programme will be free of charge and travel costs will be covered by the project. The acceleration program will take place in winter/spring 2020 at the Agripolis Campus, Padova, Italy. It will be a 10-day full immersion programme, where participants will have the chance to attend seminars, with support from mentors and experts for coaching, in order to develop their innovative ideas. The topics of the acceleration service will be defined according to the needs of the participants selected. Nevertheless, some basic and transversal topics will be present: business modelling, marketing strategies, trademark communication, traceability tools, etc. Participants will also have excellent networking opportunities, both with colleagues and company and academic representatives. Be innovative, be involved, be inspiring! Support our accelerator and make your impact. Your brand and company will be part of our selected community of experts and entrepreneurs working with NWFPs; you will be involved in our events offering excellent opportunities for networking. Be the first to get in touch with our innovators that will boost the NWFP value chains! Be part of the change, contribute to transform brilliant ideas in projects that can also change your business!